Cape Clear Island is off the coast of West Cork. It is 8 miles from Baltimore Village and is the nearest inhabited area to the famous Fastnet Rock Light House. It is a romantic and beautiful place, rugged but enormously welcoming, an ancient patchwork landscape surrounded by shimmering seas. The island is three and a half miles long by one and a half miles wide and has a permanent population of 130 which increases significantly during the Summer months. It is a Gaeltacht, where Irish is still spoken. 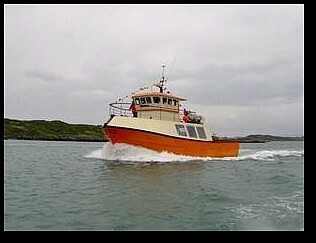 Please click here for details on times, timetable & booking on the ferry to Cape Clear. 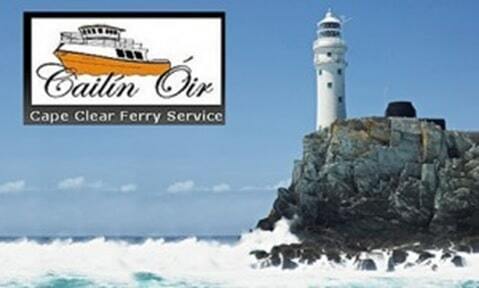 You can enjoy our new ferry with upper deck seating, Dún an Óir 11 which commenced service to Cape Clear Island in March 2011. 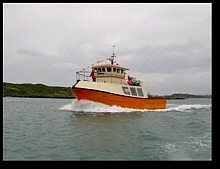 Remember that the two main Cape Clear Ferries from Baltimore & Schull share a reciprocal ticketing scheme so that passengers can embark on one ferry & return on the other.